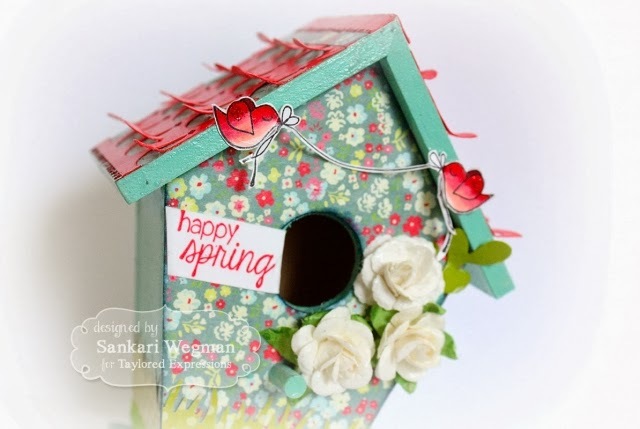 I used this same Ruffle My Feathers cutting plate for my second project where I decorated a birdhouse using this awesome cutting plate as little tiles for the roof :) and paired it with the Eggstra-Special stamp set that has this lovely sentiment with these darling birds! Sankari I don't even have words for this. You are just amazing! Such a creative genius! WOW! Look at these amazing creations! 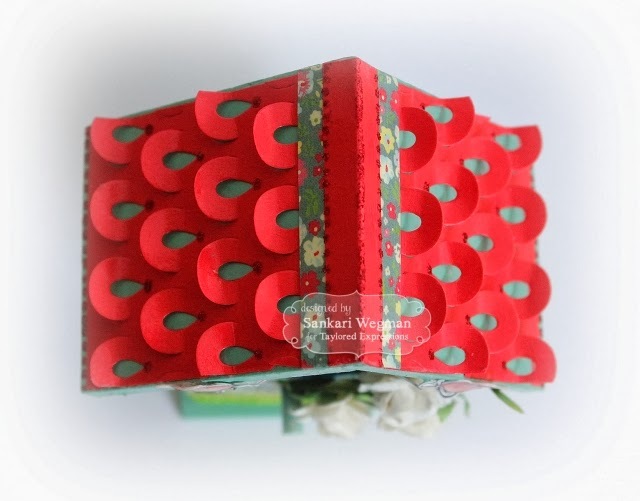 You have showcased the new items beautifully - thanks for the inspiration!!! 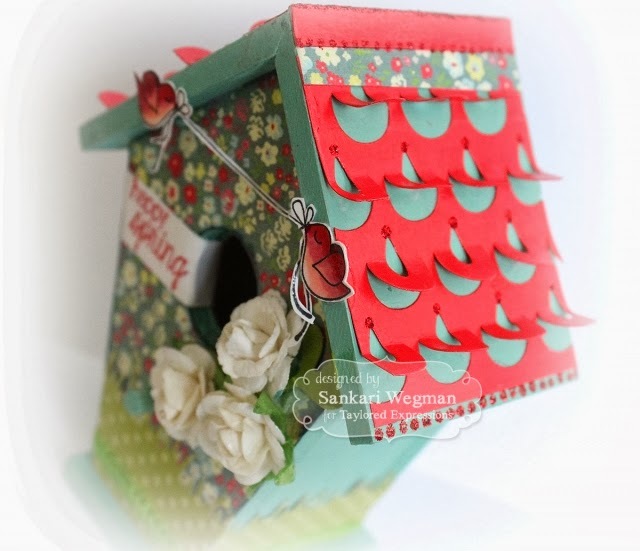 Your card with the bejeweled Ruffle My Feathers Cutting Plate is absolutely gorgeous, Sankari and what can I say about that fabulous bird house....WOW!!!!! 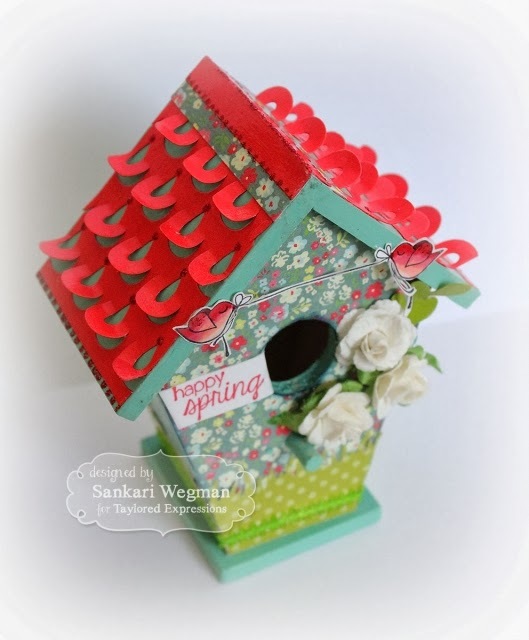 What a super clever idea to use the cutting plate for the roof and the little birds are sooo sweet....you did a fantastic job with both projects, GF!!! Great projects! 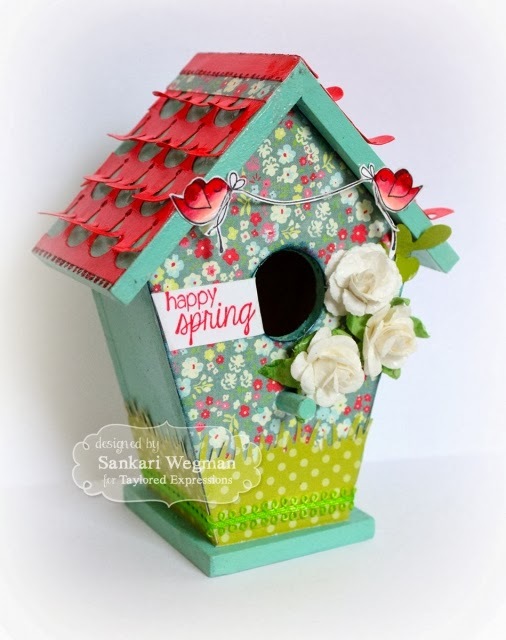 I am in love with that new Ruffle My Feathers cutting plate. Bake Me A Cake birthday!